Its look like 6 years already I opened this random thing, which is called a blog. I still not believe that I have been a blogger for 6 years. I'm not good at writing or either photography but I would like to learn about it so much. I do have made a mistake in grammar in every single post. The most site I have been used to check my grammar is grammarly.com. This site is helping me a lot thru my writing skill. Even I just do the blogger jobs' as part-time until today; I have a passion for it. I try my best to do and learn new things in every day. While I'm blogging, I felt fun and enjoy doing this, even sometimes it's hard for me too. The first place I do make this blog is easy for me to write all about my wonderful memories and also share about it in one place; especially when I going to holiday. I love traveling. I try to make my dream of traveling is happen at least once a year in new places I have never been before this. Thank you for my family and friends; who are never give up supporting me until today. The most countries, I'm confident going there as free and easy by my own itinerary are South Korea, Japan, Singapore, and Vietnam (Ho Chi Minh City) only. I'm good to make the itinerary while I'm traveling in those countries. Most of my family and friends know about it, sometimes they also ask my help to make a tour to South Korea and Japan as free and easy for them. Even though, I just back from my holiday to South Korea on November 2017 with my mom and sister. I have updated the posts on it. Feel free to read these stories. If anyone has any questions about it, I'm willing to help you – just sent me an email. On mid-year 2017, I was making a big decision on my blog. 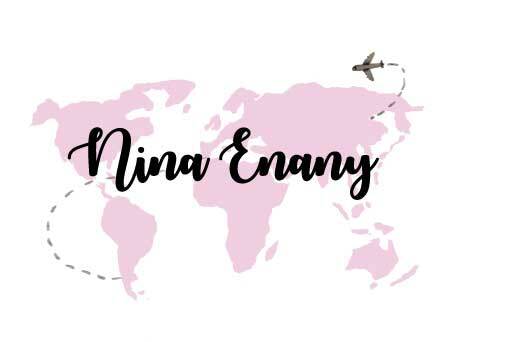 I change my blog's name to Nina Enany by using my name for easy to remember and I also do change my site to domain site; which is www.ninaenany.com. Since the main things are change so I do need to redesign my blog. Thank you for my friend; who is making redesigns my blog. Now, my blog looks different and beautiful. I like it so much. I'm looking forward, what are willing to happen in this year. I hope this year will be better than the last year. A word of advice, don't just rely on grammarly to check your grammar. practice, speak it and most definitely read more. you'll improve better that way ok.